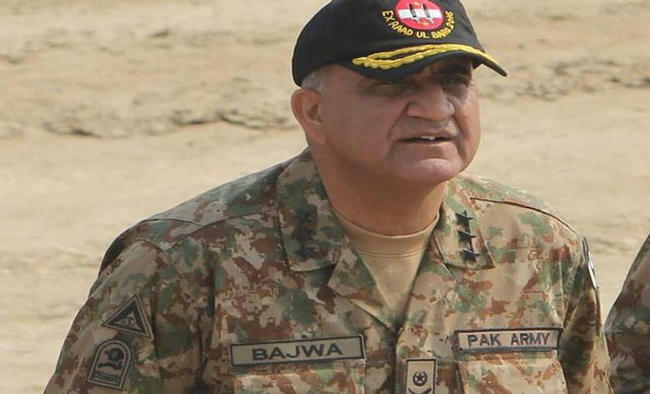 Islamabad: Pakistan Army Chief General Qamar Javed Bajwa said on Saturday that the country has started fencing the border with Afghanistan in a move to stop the cross-border movement of the militants.Security officials have long been complaining that the Pakistani militants, who have escaped as a result of military operations, now operate from the Afghan soil of the border. Pakistan and Afghanistan have nearly 2,600-km-long common border, mostly porous, and Pakistani officials insist that bombers could enter Pakistan due to weak border control. During his visit to Pakistan-Afghan border areas in Mohmand and Orakzai tribal agencies, Bajwa told the troops that fencing has commenced in Bajaur and Mohmand agencies as they are high threat zones. Both Bajaur and Mohmand border Afghanistan and had once been under the influence of the Tehreek-e-Taliban Pakistan. "Additional technical surveillance means are also being deployed along the border besides regular air surveillance," Bajwa said, adding the Pakistan Army shall employ all resources required for defence of the country and security of peace-loving Pakistani tribes. The army chief said that efforts are in hand to evolve a bilateral border security mechanism with the Afghan authorities, according to an army statement. "A better managed, secure and peaceful border is in mutual interest of both brotherly countries who have given phenomenal sacrifices in the war against terrorism," he said.